This is specially designed to provide (free) airflow as well as a see-through security screen. 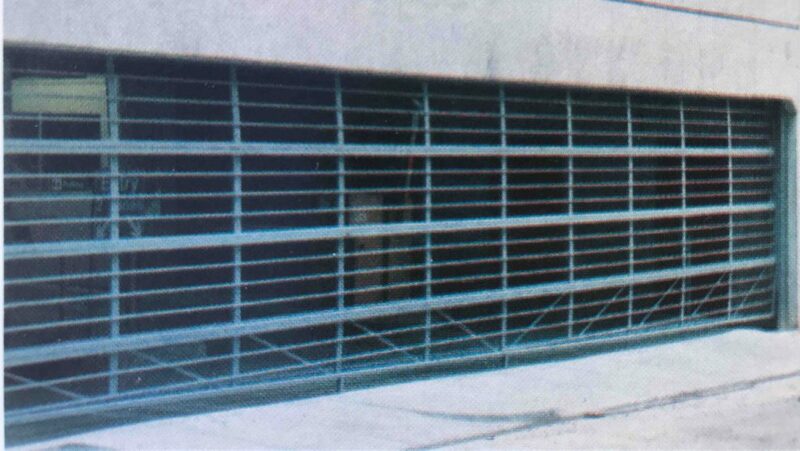 This door is commonly used on underground parking entries where airflow and security is required e.g. basement car parking entries, security entrances, bottle shops, boiler rooms etc. The doors are normally operated by hand by one person quickly and easily. Doors over 4,00omm high will be fitted with a quick action chain drive and still providing ease of operation (optional extra for doors below 4 metres in height). Electrical motorisation can be fitted to any size door as an optional extra. Standard design is recommended up to 5 metres high by 8 metres wide or 30 square metres. Should opening exceed these sizes, the manufacturer should be consulted. The aluminium grille door will be divided into panels of approximately 600mm in height and constructed using specially designed aluminium "box type" extrusions machined to match the profiles of the mating members and bolted using full length bolts to provide a neat interlocking joint for structural strength. The door sections will be divided into equal panels of approximately 1,200mm in width using the intermediate aluminium mullion members and infilled using expanded aluminium amplimesh '103'. The mesh will be fixed to the frame using aluminium angles riveted to the inside of the door frame members and braced as deemed by design. All aluminium sections are natural anodised as standard. A wide range of colour anodising or polyester powder-koted finishes are available when specified. The sectional overhead aluminium grille door will be as manufactured by 3rd Generation Doors. The door sections will be constructed from aluminium "box type" members and bolted together to form the frame, infilled with aluminium expanded amplimesh '103' and fixed to frame using aluminium angles being clear anodised (or otherwise specified) and fitted with bracing as required. The door will be supplied with all necessary hardware, spring counter balancing mechanism and tracking (standard headroom, low headroom, high lift or vertical lift as specified) and installed to the manufacturers recommendations. The door will be divided into panels of approximately 600mm in height and constructed using rolled hollow steel tube members welded together to form the main frame and divided into equal panels of approximately 1,200mm in width using intermediate stiles. The face of each door frame section will be fitted with 19mm square rolled hollow steel tubing set at approximately 120mm centres and welded to the frame and braced as deemed by design. All mild steel components will be given a coat of zinc chromate primer as standard. Alternative primer coatings are an optional extra e.g. Dimet coating etc. 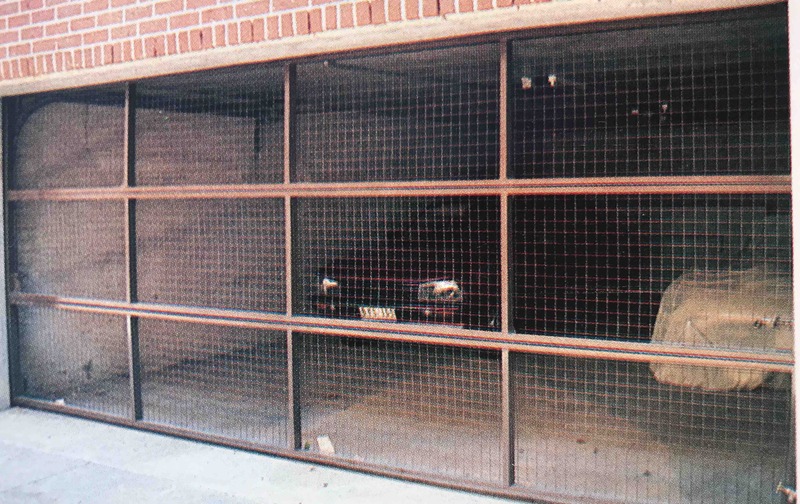 The sectional overhead steel bar grille door will be as manufactured by 3rd Generation Doors. The door sections will be constructed from rolled hollow steel tube with members welded together to form the frame. The grille design will be of 19mm square steel tubing welded to the face of the frames at approximately 120mm spacings and fitted with bracing as required. The door will be prime painted with zinc chromate primer (or as specified). The door will be supplied with all necessary hardware, spring counter balancing mechanism and tracking (standard headroom, low headroom, high lift, or vertical lift as specified) and installed to the manufacturers recommendations. The door will be divided into equal panels of approximately 600mm in height and constructed using rolled hollow steel tube welded together to form the main frame and divided into equal panels of approximately 1,200mm in width using intermediate stiles. Door frames will be fitted with 50mm square steel weld mesh welded to the back face and braced as deemed by design. All mild steel components will be given a coat of zinc chromate primer as standard. Alternative primer coatings are an optional extra e.g. Dimit coating etc. The sectional overhead steel grille door will be as manufactured by 3rd Generation Doors. The door sections will be constructed from rolled hollow steel tube members welded together to form the frame. The grille design will be of 50mm square steel weld mesh welded to the back face of the frames and fitted with bracing as required. The door will be prime painted with zinc chromate primer (or as specified). These are a special design (consult the manufacturer). Brackets and hinges will be manufactured from heavy gauge galvanised steel having a minimum thickness of 1.6mm to a maximum of 4mm. Where doors exceed 5000mm in width, will be fitted with double hinge wheel brackets and long stem shaft wheels. 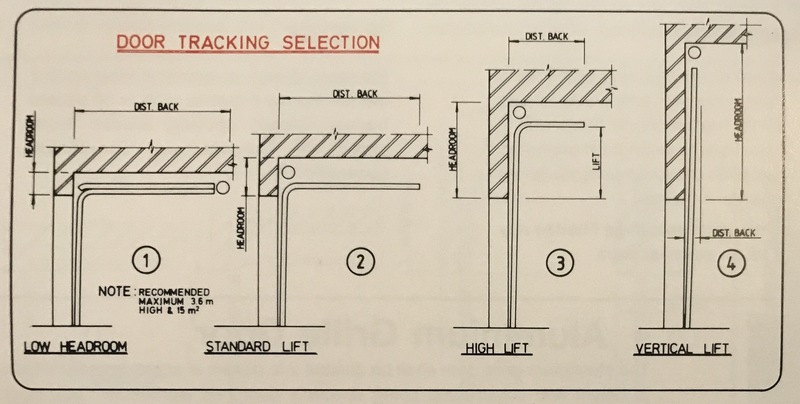 Torsion Bar will be designed to match the door weight, and manufactured using 25mm diameter tube and or solid steel ban The shaft will be supported at either end and the centre, with end plates and centre anchor plate fitted with bearings.